Across the last 100 years we’ve seen the development and evolution of a very special relationship – that between Australia and the United States of America. It was a friendship largely forged in blood and iron on the major battlefields of the twentieth century, from the First and Second World Wars, to Korea and Vietnam – and in the new century, across to Iraq and Afghanistan. During this time we were truly comrades in arms, sharing many of the same values and establishing various trade, defence and political alliances that have bought considerable benefit to both nations. In Australian parlance we have become “mates”, a special relationship that runs deeper than friendship and shows a willingness to stand shoulder to shoulder when the going gets tough. Australia as a nation, became aware of the increasing power of the United States in 1908 when the US Navy’s spectacular “Great White Fleet” paid us a visit and over half a million Sydney-siders turned out to watch the grand arrival. The NSW Government declared not one, but two public holidays to help celebrate the event across the following seven days. Just ten years later the Australian and United States military would meet again, but in sharp contrast with the 1908 peace mission it was to be on the murderous battlefields of World War One. 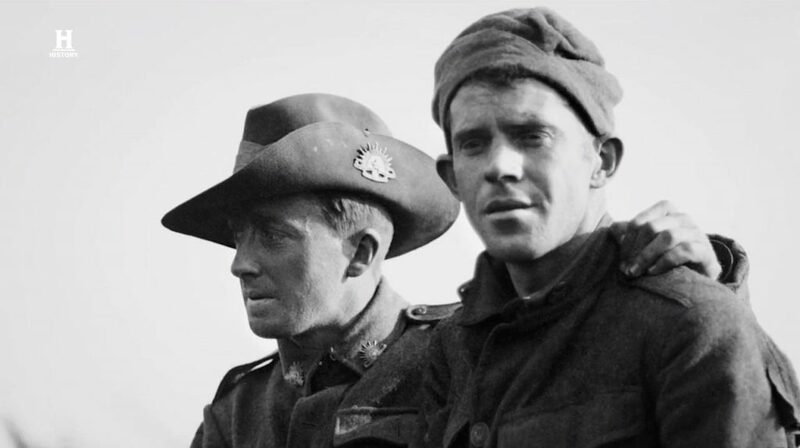 For the first time US and Australian troops went into frontline conflict together against the Germans in the highly successful Battle of Hamel, fought on the 4th July 1918. The soldiers bonded well immediately with a lot of common ground emerging that meant that they naturally “liked each other” and generally got along very well. The Battle was a military triumph and the beginning of a long and successful relationship between the two nations. In December 1941, following the Japanese attack on the naval base at Pearl Harbour, the United States entered World War Two, with US and Australian troops again finding themselves in brutal conflict, side by side, this time against the Japanese in the inhospitable jungles of New Guinea. Combined Australian and US infantry forces were involved in heavy fighting around the Buna-Gona area in New Guinea in 1942-43, with the Japanese suffering a major defeat, and reinforcing the mutual respect between the US and Australian fighting men. In 1950, only five years after the end of World War Two, yet another war erupted, this time on the Korean Peninsula, when a large United Nations military force, including the United States and Australia, successfully repelled a massive North Korean invasion. This was the early days of the Cold War, fought between the West and Communism, just short of all-out conflict but a difficult and dangerous business nevertheless. It would last another twenty-five years and spill over into Vietnam during the 1960’s. Asia continued as a world hotspot across the next 15 years and in 1965 Australia followed America into the jungles of Vietnam, with a “north versus south” conflict involved, similar in some ways to Korea. This was again triggered by the fear of a communist takeover of Asia, a fear that had to be countered by military force. In an effort to prevent Afghanistan from becoming a permanent terrorist base Australia joined a United States led coalition against the Taliban and Al Qaeda in 2001 in what was called Operation Slipper. It turned out to be the Australia’s longest war – a thirteen-year conflict that saw some 26,000 Australian troops serve in the area. Following the attacks on the US World Trade Centre in September 2011, the Australian Prime Minister, John Howard invoked the ANZUS treaty for the mutual defence of Australia and the United States, further reinforcing the close relationship between Howard and the US President George W. Bush. This century of military connection, in which Australia and the United States fought and died together, did much to cement the connection between the two countries. It is a relationship that is mutually treasured and the soldiers of both countries today continue the tradition of mutual respect and comradeship, begun on the long-ago battlefields of World War One.